News that business owners are applying in large numbers to stand for parliament must be one aspect of the growing dissatisfaction with the existing political options. Conservative Central Office said it had received about 3,000 applications since David Cameron appealed for candidates from outside politics and about a third had come from business owners. It is understandable that the kind of people who typically set up and run their own businesses would be feeling frustrated with politics today. Being an entrepreneur means trying to make things happen quickly. It means taking risks. It often also means working in new and untested areas of the economy. The UK, as I have argued here for some time, is not typified by any of these entrepreneurial traits. An influx of people into government with experience of running businesses, or for that matter schools, hospitals or any significant parts of our economy, would not be a bad thing in itself. For too long government has become the preserve of professional politicians. The front benches are full of people who went straight from student politics into mainstream politics with little experience of doing anything else, occasionally stopping off for a brief stint in PR, like Cameron himself, or in the media like James Purnell. This deficit of real experience in running things has led to an increase in the number of unelected people being brought into government via peerages in an attempt to make up for it, hence Lord Drayson for example at the (now abolished) Department of Industry, Innovation and Skills. 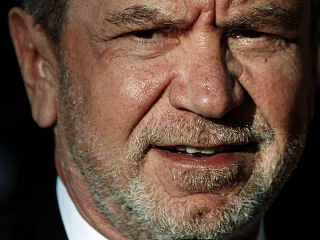 The terminally crippled Prime Minister has even turned to Sir Alan Sugar in a desperate attempt to marry a reputation for entrepreneurialism with celebrity and thus kill two birds with one stone. More real life experience would no doubt be an asset in government. But, and it is a big but, this alone would not be enough to create a new start for British politics. We would still need to know what these people believed in and what policies they would wish to pursue. At the moment the Conservatives are no less empty of a real political vision than the discredited Brown government. New blood by all means, but new politics still seems a long way off. A dispiriting article in today’s Financial Times sums up much of what is wrong with the government’s approach to investment in innovation. In the last budget it was announced that £750 million would be set aside for a Strategic Investment Fund. This was presented as financial support for a new kind of positive ‘industrial activist’ strategy. Leaving aside for the moment that one third of this money is set aside for low carbon business opportunities (see my previous blog on this), there is obvious merit in funnelling funds into technology start-ups, even if the amount available, which is to cover a two-year period, is very small. The problem is that this fund was announced without any proper planning or discussion. The Ministry which is supposed to adminster this fund was only told about it a few days before the announcement. So we have an investment fund with no clear goals or any mechanism for distributing the money. As the report says, people are queuing up for access to this cash, and it is encouraging that there appears to be a strong demand for new investment. But the lack of clarity about what it is for or how it is to be administered throws doubt on how quickly it will be put to good use. We are in a deep recession and any new technology investment would be a good thing, but the slapdash way this has been done betrays a lack of urgency in addressing the situation. This was summed up by the unnamed official who said there was no rush as they had 2 years to phase in the spending. As you can see from the responses to my previous entry on this subject, the Green New Deal (GND) is a very controversial subject. The amorphous character of the debate around it makes it very hard to pin down, yet governments and political parties are determined to sell it to us as a key component of the anti-recession packages. As Ben Pile points out in his excellent article in the Register, there are countless reasons to question the investments being made in the creation of green jobs. To take one example, the creation of 25,000 jobs in the Waste Management and Recovery & Recycling sectors will come at a cost of £1.2m per job since as is very often the case with the green sector it absorbs rather than creates wealth. For this reason, I think it is highly doubtful that such investments will create meaningful jobs or use resources rationally. So then is this really the best way of spending money if the main aim is to boost the economy? I think not. This is why a focus on economic growth as an objective of economic activity is far better than a focus on environmental outturns. Again, as Ben Pile points out, even the limited success of recycling activity in the UK is due to demand from the dynamic Chinese economy for raw materials. When demand is high and economies are growing, common sense tells us that the use of resources, whether raw materials or labour, will be more efficient and therefore more productive. The market may not be the most imaginably efficient way of doing things necessarily, but it is more efficient than an economic agenda which is led by ideology; what the GND is becoming. The Conservatives have unveiled their plans for a Green New Deal for the UK (although they do not call it that). It is fast becoming an item of common sense, from Obama downwards, that the twin problems of recession and global warming can be tackled by investing in green technology, thereby killing two birds with one stone. This may on the surface seem an eminently sensible suggestion. There is a problem in that the climate change agenda is so politicised it is almost impossible to work out from the outside what the real facts are. But let us assume for the moment that climate change needs to be addressed. The first problem with the Green New Deal (GND) is that it is a very amorphous concept. However, as the Tory proposals demonstrate, the GND almost always begin with a requirement to cut energy consumption. If one intention of the GND is to stimulate the economy out of recession, then cutting energy consumption is an odd way of doing this. As the authors of Energise have pointed out, a more rational approach to the issue of carbon emissions is to accelerate the development of better and cleaner energy sources rather than cutting consumption which can only have the effect of lowering living standards. Indeed, China, the fastest growing economy in the world, has 16% of its electricity produced by renewables, compared with 4.5% in the UK. This is because China’s rapid growth has stimulated research, development into and implemetation of new sources of energy. In the West by contrast the whole issue of renewable enegy has become linked to an anti-growth agenda. The subtext of the current discussion on the GND in the West is that it is part of the new austerity. Whether you accept all or some of the climate change agenda, the solution lies in innovation and growth, not consumption cutting and austerity.